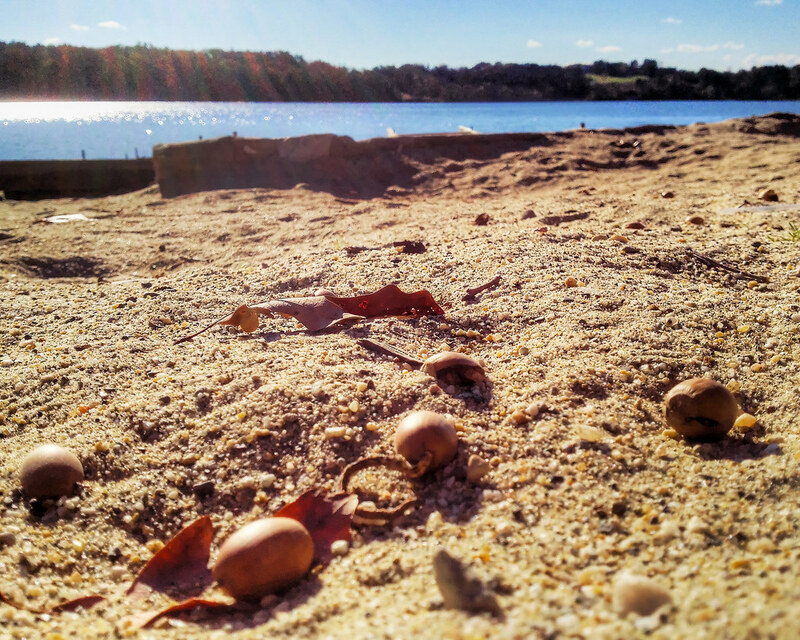 Perhaps acorns scattered on the beach don’t really count as castles (as in I, II, III, and IV of the series), but the neural pathways (cliché incoming: imagination) of a six-year-old, they can be elegant abodes of elves or the landing pods of a tiny invasion force. I think they fit the theme nicely. During my trip to Connecticut last week (again, tragically bereft of my Nikon), I visited Lake Wononscopomuc, where I spent the summers (and winters) of my youth. It brought my back to the thinking of that “miniature me,” if only for a few minutes.